Tax time is nigh. So we’ve asked our friends at TaxJar to share tips to get you through it. Today, TaxJar Chief of Content Jennifer Dunn focuses on an important topic: the most common tax mistakes for small-business owners. Read on, so you don’t make ’em. Working with small businesses, and as a small-business owner myself, I’ve seen my share of tax mistakes. In fact, I’ve made my share of mistakes. When I first started out, I had no idea that quarterly estimated taxes were even a thing. And then I somehow thought that I would get some kind of tax break for starting my own business. How young and naïve I was. A lot of business owners turn a hobby into a business. One minute you’re just baking your grandma’s lemon bar recipe for a few friends, and the next you’re the hit of the local farmers market. It can be a shock to realize that what was once a fun hobby is now a money-making venture. But it will be a bigger shock if the IRS realizes that first and comes after you. The number one tax mistake new business owners make is not realizing they even have a business. If you made over $400 in self-employed income in a taxable year, then you may be required to file Schedule C (Profit or Loss from Business) and Schedule SE (Self-Employment Tax) along with your regular 1040 income tax form. Still not sure if you have a business or a hobby? Here’s what the IRS has to say about businesses and hobbies. The key takeaway is that a business owner is allowed to take business-related tax deductions, while people who merely practice a hobby can’t. The U.S. has a pay-as-you-go tax system. That’s why, when you have a W-2 job, your employer takes taxes out of your paycheck every week. When you’re self-employed, there’s no employer to take care of your periodic tax obligation. It’s all on you to pay as you go. The IRS (and most states with an income tax) require small-business owners to remit quarterly payments in order to fulfill their tax obligations. Quarterly payments can actually be quite handy as your business becomes profitable. They allow you to catch up on your tax obligation as the year progresses, rather than get hit with a huge tax bill at the end of the year. Many of the expenses you incur in the course of running your business are tax deductible. 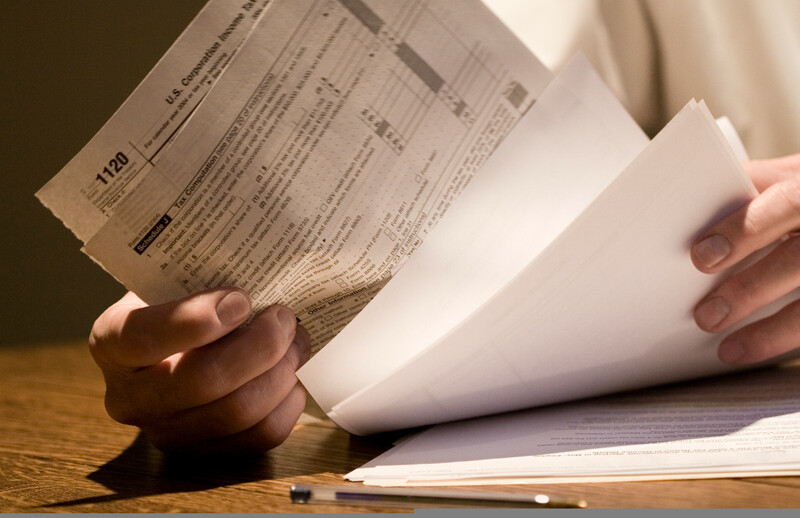 It’s pretty easy to handle most tax deductions. You buy something — some office supplies or a banner ad on a targeted website — keep the receipt, and then deduct it at the end of the year. But two of the most lucrative deductions are more complicated than that. The home office deduction, which allows you to deduct expenses related to the portion of your home that you use for business, requires a lot of calculations. And the automobile expenses deduction takes some very dedicated recordkeeping throughout the year. Nevertheless, don’t ignore these two deductions. They can mean big tax savings at the end of the year. If in doubt, contact a reputable accountant to help you make sense of it all. As your business grows, you may find it’s time to bring on some help. Hiring an employee involves remitting payroll taxes and HR paperwork. On the other hand, hiring a contractor — who takes care of her own taxes — is fairly simple. But just because hiring a contractor is easier doesn’t mean it’s always the right choice. The IRS considers an employee to be someone whose time and location are controlled by you. So if you require your worker to come into the office or work a set amount of hours, you may have an employee and not a contractor. Employees are treated differently than contractors when it comes to taxes. Read what the IRS has to say about employees vs. contractors to ensure you aren’t breaking the law. Did April 15 (or March 15 for corporations) sneak up on you? You just couldn’t get your paperwork together and now you’re looking at fines and penalties on top of a late tax return? It doesn’t have to be like this. The IRS understands that taxes are difficult, and that’s why they’ll grant a six-month tax extension in almost all cases. All you have to do is ask. Really! Just file Form 4868 for an extension on your individual tax return or Form 7004 for an extension on your corporate tax return. But keep in mind that the extension only grants you extra time to file, not extra time to pay. You should estimate how much you owe Uncle Sam and still pay that by your tax due date. Unless you perfectly estimated how much you owe in taxes, you’ll either find yourself with a refund or a bill once you file by October 15 (September 15 for corporations). If you sell products and live in one of the 45 states (plus D.C.) that has a sales tax, then you are most likely on the hook to charge sales tax to your buyers. Sales tax can be complicated, so many sellers either get it wrong or try to ignore it altogether. Both strategies can have dire consequences. If you sell products, get to know sales tax. You can start with this Sales Tax 101 Guide from TaxJar. And if you’re a mobile business, be sure to use TaxJar and Square’s tool for making sales tax easy on the go. Hiring an accountant can seem like an unbearable business expense, especially when you’re just starting out. But a good accountant gives you peace of mind that you’re doing everything right. He or she often also saves you money by finding deductions or tax credits that you may have never thought of. It’s almost always a good idea to get professional help when it comes to your business taxes. (Read up on tips for how to hire a great accountant). Did you just read this and get the sinking feeling that you made some tax mistakes in previous years? Well, there’s also some good news — you can actually go back and correct old tax returns up to three years later. Just use Form 1040X to amend each return, or contact a reputable accountant if you have questions. - Do You Qualify for a Home Office Deduction?